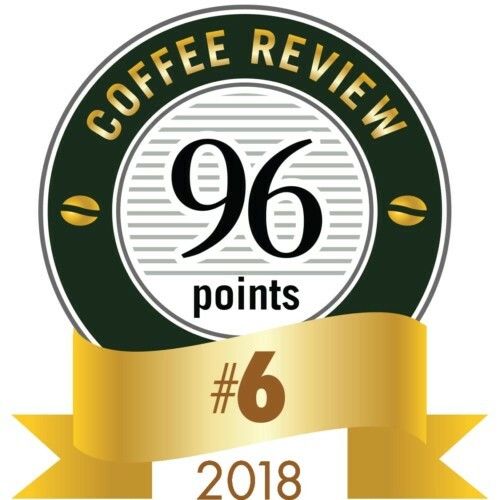 In October of 2018 we received a 96 point score for this coffee from Coffee Review. This coffee was evaluated specifically for espresso preparation. The Twenty-Five was also awarded the #6 spot on Coffee Review’s Top 30 Coffees of 2018! Creme brulee, saturated blueberry, plum, pineapple, vanilla custard, caramelized sugar, rose, honey, juicy and plump. 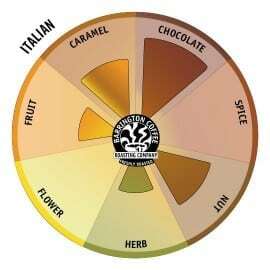 This massive footprint of a coffee plays well with all methods and excels as an espresso. 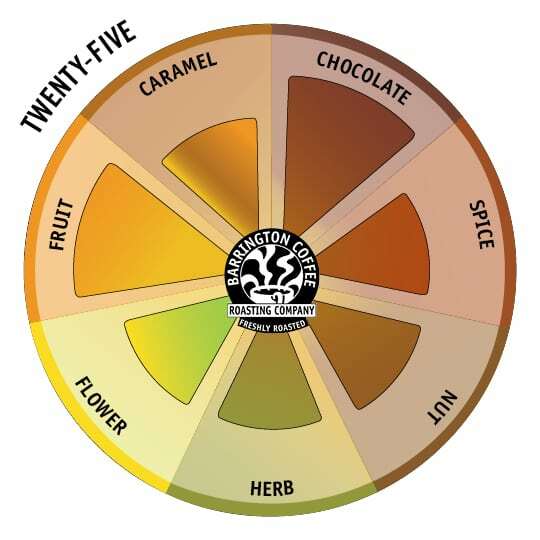 For our 25th Anniversary year we have created an uber-blend that captures the bold and diverse aromas and flavors that have been our hallmark during our two and a half decades as Barrington Coffee. 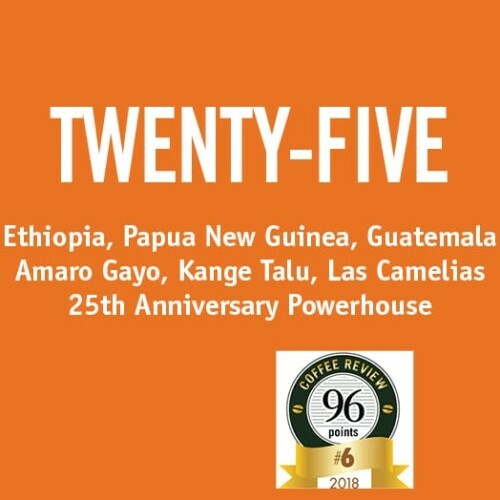 The Twenty-Five hails from three amazing producers from each of the three principal coffee growing regions from around the world; Africa, Asia and the Americas. Asnakech Thomas’ Amaro Gayo from Sidama, Ethiopia, the Kange Talu from Banz, Papua New Guinea and Damian Benavente’s Las Camelias each play important roles in building this coffee powerhouse. 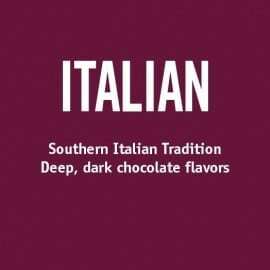 In addition, this blend includes coffees that have been processed in two different ways. The Amaro Gayo is a natural process coffee and the Kange Talu and Las Camelias are both fully washed. The effect of this processing combo adds layers and depth to the cup.